Danielle Susi: In the introduction of the anthology, you note that you began your conversation with Nightboat in 2017, so I’m wondering how long it took to compile and edit this anthology? Christopher Soto: I was working with Nightboat on the book for about a year and a half (or maybe a little less) before it officially came out but I feel like the process was much longer. I say that the process is longer because during issue 2 and 3 of Nepantla, when the journal was online with Lambda Literary, is when I began reaching out to estates that hold rights for queer poets of color. I was asking estates for rights to publish queer poets of color posthumously for the online journal and some of those rights I could not secure for years, until the anthology was almost out. It was sometimes a slow process. There are a few queer poets of color who I think would have much larger reach and acclaim if their estates did not make it so difficult to access rights for disseminating their poems. On occasion, I would get upset while editing. I would think to myself “How is it taking me years to secure rights to this poet? This old white man needs to get on top of his game and give me the contract so that I can share the works of this poet.” Thus, my queer of color poets, please make sure that rights to your poems go to an individual or estate that will really advocate for you and be proactive in promoting your work for the years after you pass away. I don’t want you or us to be lost to history because we end up with an estate that doesn’t do us justice in preserving our work. For the most part though, it was a blessing to work with so many other exciting and talented and dedicated people who were just as excited as me to support the work of poets they love. It was especially a blessing to be able to chat with the friends and family members of poets whose work I love but whom I was never able to meet. DS: You’ve included poems as early as the Harlem Renaissance in the anthology. Were there any complications in obtaining the rights to some of the older poems? DS: It seems that both Nepantla the journal and Nepantla the anthology have similar aims, so I’m wondering what joins these two as a project, but also what makes this anthology unique from the journal. What makes this journal necessary right now? CS: The journal and anthology both seek to support queer of color poets and racial diversity within the queer literary world. As a project, the journal publishes original work only and has first rights to all of the poems that we publish by living poets. In the anthology, I did not care about first rights and so it is simply my favorite poems by queer people of color, both living and deceased. The anthology goes further back in time (to the Harlem Renaissance) and has a lot of posthumous publications, unlike the online journal. Oh, and the online journal features interviews, none of which are in the anthology. As to why the journal is needed right now; there are a handful of reasons why this anthology is necessary (it addresses immigration, mass incarceration, freedom of speech, and more) but I that doesn’t necessarily mean that I looked to poems of our time to address the issues of our times. For example, I open the anthology with the poem “Don’t Let The Fascists Speak” by Pat Parker. This poem discusses freedom of speech in relation to fascists that were shut down from speaking at Berkeley decades ago. In part, it is troubling to see for how many years queer people of color have been addressing these same issues over and over again. On the other hand, it feels alleviating in a sense to know that I’m not the only person who has been writing into these issues and it gives me a sense of patience with my own activism—to know that I am on a long road and in a lifetime of this work so I must pace myself and take care of myself and not “burn out.” The poems in this anthology by Audre Lorde and June Jordan also address police violence in the 1980s and are such pertinent works to apply to our current times. There are other examples too. DS: As the editor, can you explain (if any) what is the significance behind the ordering of the poems in the anthology? CS: I thought about organizing the anthology chronologically but that made it feel like a master list, like a conversation with a start and end. 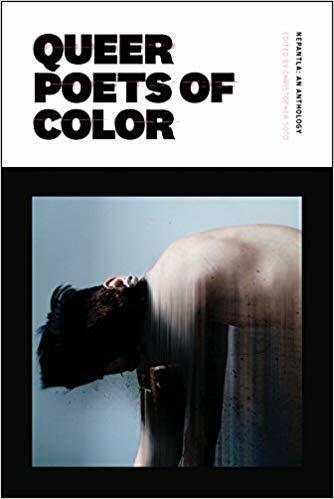 I didn’t feel comfortable with the feeling that this anthology would include every queer poet of color in a particular decade or time frame. 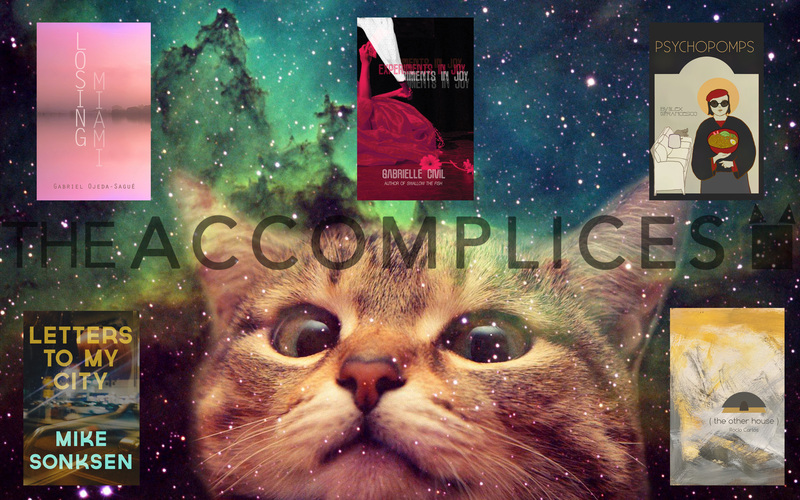 Rather, I chose to organize the anthology according to emotion and form. I tried to just feel how the poems rolled into one another as a conversation that has been continuous for years. I loved opening the anthology with the protest of Pat Parker and ending the anthology with the tenderness of James Baldwin. This journey from political outrage to socially conscious tenderness resonated with my journey as a literary activist. DS: I am interested in the sub-title of the anthology–‘An Anthology for Queer Poets of Color’. Will you talk to me about the choice of using “for Queer Poets of Color” rather than “of Queer Poets of Color”? CS: To be honest, I kept switching back and forth between the uses of the preposition in the subtitle, without much care. For years I kept switching back and forth between using the word for and using the word of. At times, I would also write “Dedicated to Queer Poets of Color.” This is the first time that I am really thinking about the implications of each preposition. I stopped writing “Dedicated to” because that subtitle was too long in length. And I guess I naturally gravitated to the preposition for because this project has always felt like a gift. The gift of poems and trust given to me, the gift of the book I give to my community. I think the preposition of might feel too resolute for me, as if the anthology had confines and was not part of continual conversation. DS: There are so many familiar names who are part of this anthology, and of course some who are perhaps less known (or less in the “mainstream”). Where did you find these lesser-known poets? How can we elevate the voices of lesser-known poets who are making important work? CS: I had an open call for submissions and received a handful of poems in the anthology from this call. It was such a pleasure to find some poets for this anthology that I didn’t know before. Also, friends were constantly recommending poets for me to look into and so I found a handful of “new to me” poets that way. Some of my favorite poets who I’ve recently encountered and was able to publish in this anthology include: Steffan Triplett, Fatima Espiritu, and Demian Diné Yazhi’. Pertaining to elevating the voices of poets—there are a handful of ways to do that. Support poets by publishing their work, interviewing them (just like this, thank you), inviting them to read publicly, etc. I’m excited to know that there are even more queer poets of color whose work I will come to in the next few years, who I don’t know about now. 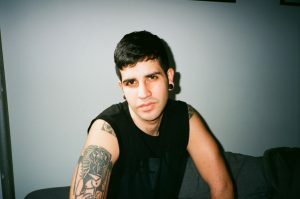 The editor of “Nepantla: An Anthology for Queer Poets of Color”, Christopher Soto is a poet based in Brooklyn, New York. He is the author of Sad Girl Poems (Sibling Rivalry Press, 2016), cofounded the Undocupoets Campaign and worked with Amazon Literary Partnerships to establish grants for undocumented writers. In 2017, he was awarded “The Freedom Plow Award for Poetry & Activism” by Split This Rock and he was invited to teach a “Poetry and Protest Movements” course at Columbia University, as part of the June Jordan Teaching Corp. In 2016, Poets & Writers honored Soto with the “Barnes & Nobles Writer for Writers Award.” He frequently writes book reviews for the Lambda Literary Foundation. His poems, reviews, interviews, and articles can be found at The Nation, The Guardian, The Advocate, Los Angeles Review of Books, Poetry, American Poetry Review, Tin House, and more. His work has been translated into Spanish, Portuguese, and Thai. He has been invited to speak at university campuses across the country. He is currently working on a full-length poetry manuscript about police violence and mass incarceration. He received his MFA in poetry from NYU, where he was a Goldwater Hospital Writing Workshop Fellow. Soto is, as one of his many accolades celebrates, a writer for writers. As the editor of “Nepantla: An Anthology for Queer Poets of Color”, he has expertly collected some of the most influential and meaningful poetry written since the Harlem Renaissance. In this interview, Soto and writer Danielle Susi join in conversation about the new anthology and the challenges and necessity of this kind of canon-making work. 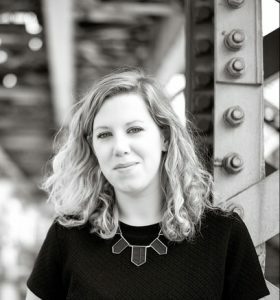 DANIELLE SUSI is the author of the poetry chapbook The Month in Which We Are Born (Dancing Girl Press, 2015). She received her Master of Fine Arts degree in writing from The School of the Art Institute of Chicago where she was awarded the New Artists Society Fellowship. He poems have appeared in Crab Fat Magazine, Tinderbox Poetry Journal, DIALOGIST, and many other journals. She is currently a contributor to The Rumpus, American Microreviews, and Entropy, where she curates the Dinnerview series.